Hagerty Construction & Roofing, Inc. has an uncompromised commitment to the highest standards in sales, service and installation. Metal roofs are long lasting, beautiful and for the most part, maintenance free. We have installed metal roofs on ocean front properties, as well as rural home sites. We install three types of roofing tile. Concrete, Clay and Composite. There are some basic differences between them not only in materials used in manufacturing, but also in the installation process as well. We have completed many additions in Jacksonville over the years. We have added two story additions, rooms over garages, attached ground level rooms and added a garage bay or two. 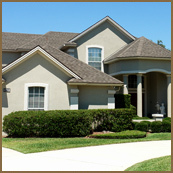 As the general contractors Jacksonville FL residents prefer, we can manage every aspect of your project. We can handle all required approvals including architectural review committees, homeowners associations, health department, building department and zoning. We take care of the design, the building plans and all engineering requirements. Hagerty Construction & Roofing, Inc. will take your project from "concept to completion." We take care of every detail, right down to the tooth brush holders and shower curtains. We encourage homeowner participation in all aspects of the process, from design to details. That's why we are the contractor for kitchen remodeling Jacksonville chooses first, and the experts in bathroom remodeling Jacksonville FL trusts for quality and service. We have completed numerous additions and have completed many remodeling projects in Jacksonville since 1993. We will be happy to show any one of them to you and supply you with a list of references as well. NO JACKSONVILLE ROOFING SYSTEM IS MORE IMPORTANT THAN YOURS. We have installed thousands of roofs in and around the Jacksonville area, all shapes and sizes; including industrial, commercial and residential, metal roofing, roof repairs, roofing replacement, clay and concrete tile roofs and asphalt shingles. Over the years we have become the roofing contractors Jacksonville FL homeowners choose when then want a reliable roof that will deliver many years of protection. Hagerty Construction & Roofing, Inc. strives to stay ahead of our competition by designing and building Jacksonville roofing systems with quality materials from the nation's top manufacturers, professionally installed by our own highly skilled and trained Jacksonville roofers. 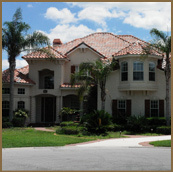 We've been roofing Jacksonville and remodeling homes since 1993. Take a tour of some of the projects we have completed - we are very proud of them all! These happy customers are what have made Hagerty Construction & Roofing the leading company for kitchen remodeling Jacksonville customers choose, the tops in bathroom remodeling Jacksonville FL homes, and the roofing contractors Jacksonville FL residents trust for reliable protection of their homes and families. Information can be a very powerful and useful tool. We are not lawyers and we do not practice law. We are contractors that have over thirty (30) years of experience in our industry. This information we provide will give you some insight into our industry, what to expect when hiring a contractor and what questions to ask to protect yourself. Call Hagerty Construction & Roofing today at (904) 992-9960 for a free, no obligation consultation and estimate for services in home remodeling Jacksonville FL residents count on for quality and craftsmanship, and for Jacksonville roofing services.